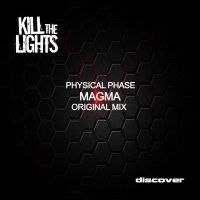 Physical Phase step up to the Kill The Lights plate with Magma. A lush bass driven tune with more than a respectful nod to the old school progressive trance tracks of years gone by! If you liked your Sasha and Digweeds and your Global Undergrounds circa 2000 then this is likely to appeal. 'Magma' is available now from Beatport and iTunes.